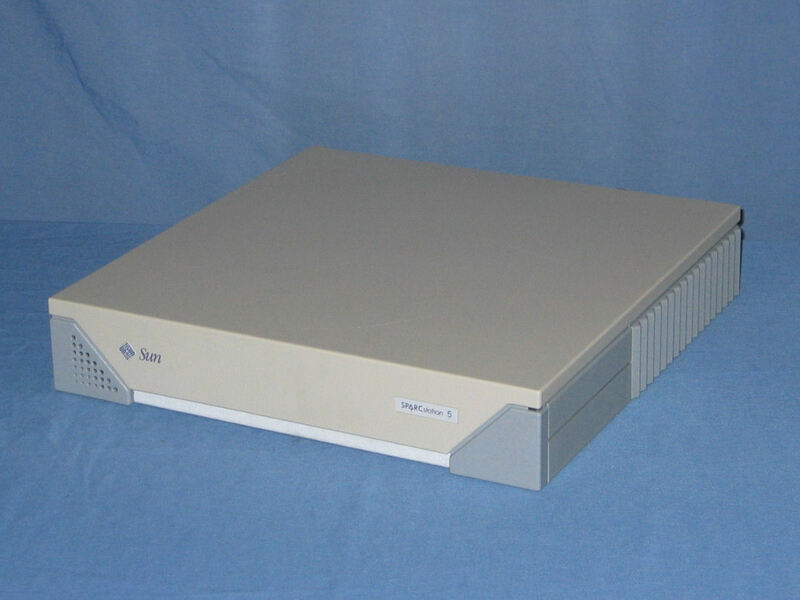 In early 2004 I obtained, via eBay, two 100MHz SPARCstation 5's. 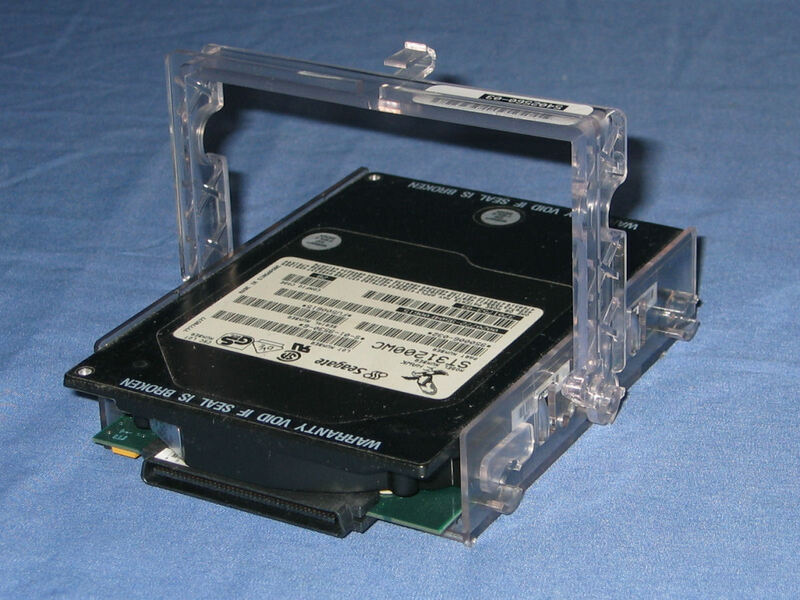 Only one of them contained a hard drive and RAM (the one pictured here). I had previously acquired the keyboard, mouse and 17" display for my Ross SPARCplug Station. 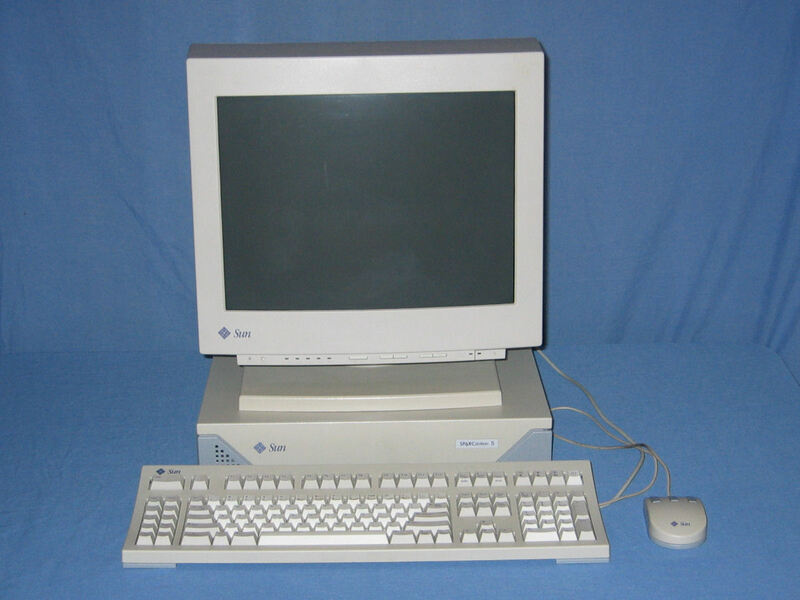 Complete system with 17" display, keyboard and mouse. 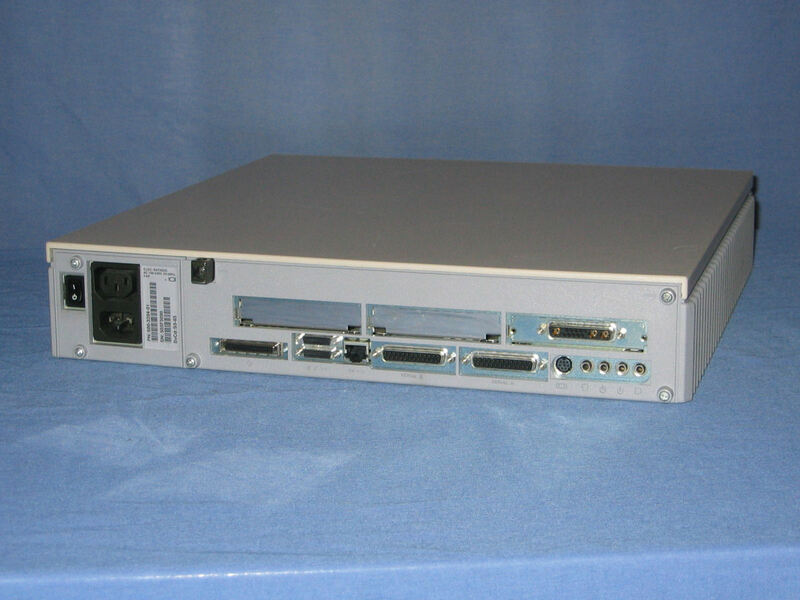 The system unit. 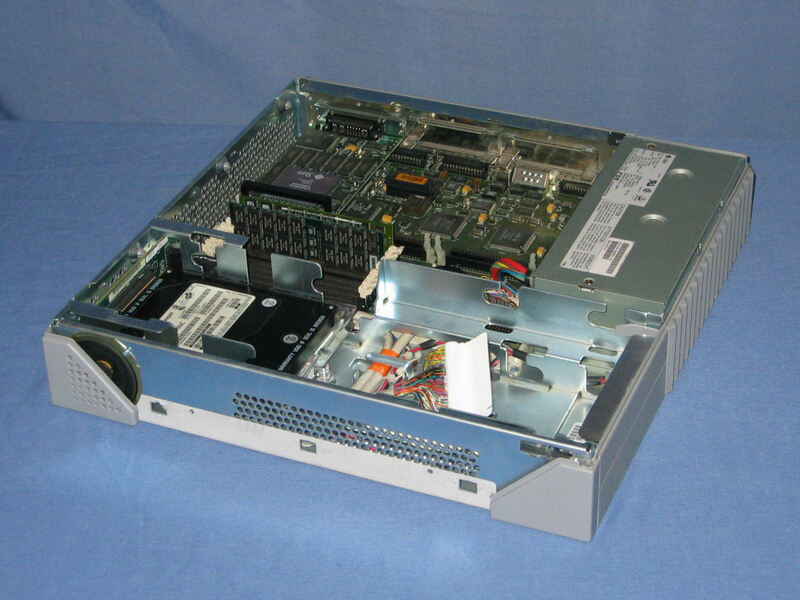 On the right hand side is the bay where a CD-ROM drive (upper) and floppy drive (lower) could be installed. 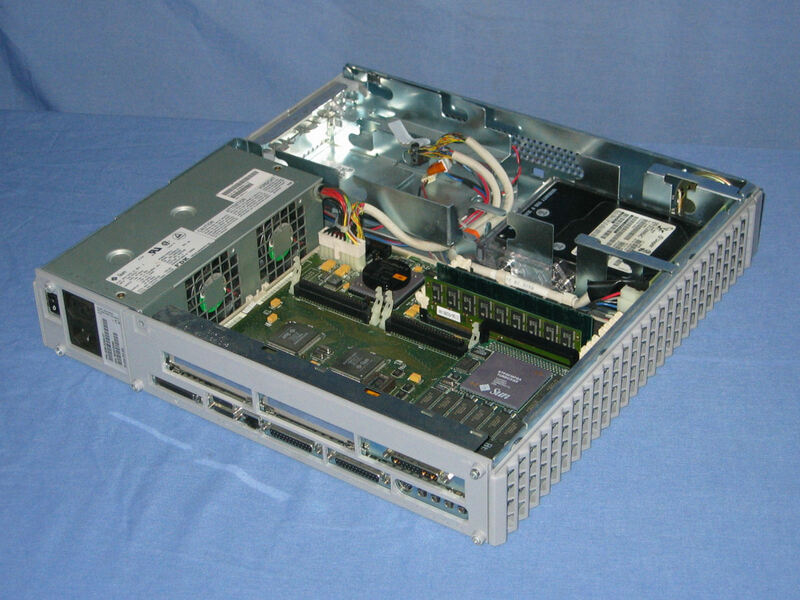 Rear of the system unit with the standard array of ports across the bottom. 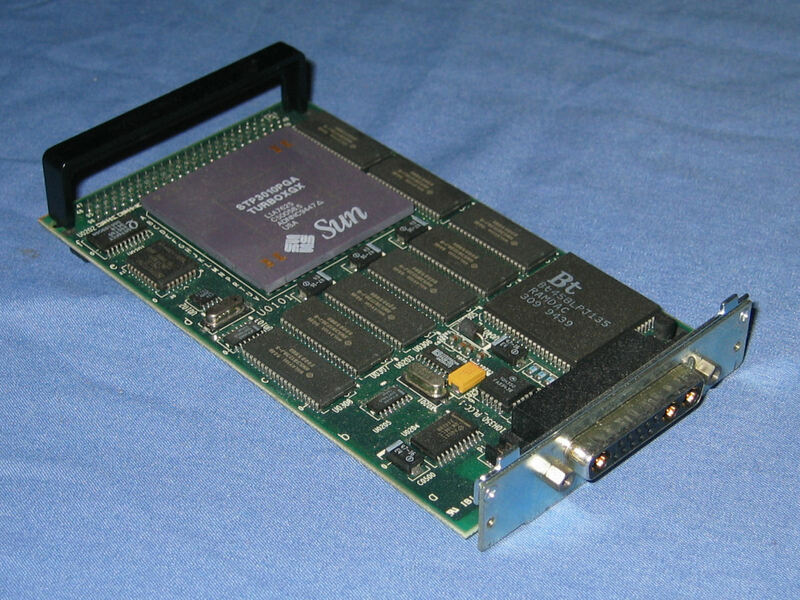 There are three SBUS slots, the third of which has a framebuffer installed. With the top cover removed the drive bays at the front of the case are visible. On the left are the two SCA drive bays and on the right is the CD-ROM and floppy bays. Viewing from the rear with the top cover removed allows the logic board to be better seen. Above the SBUS slots are the CPU (with the round heatsink) and the memory slots (two populated). A standard SCA drive fits inside the plastic cradle which provides a quick and easy way of installing or removing the drive.